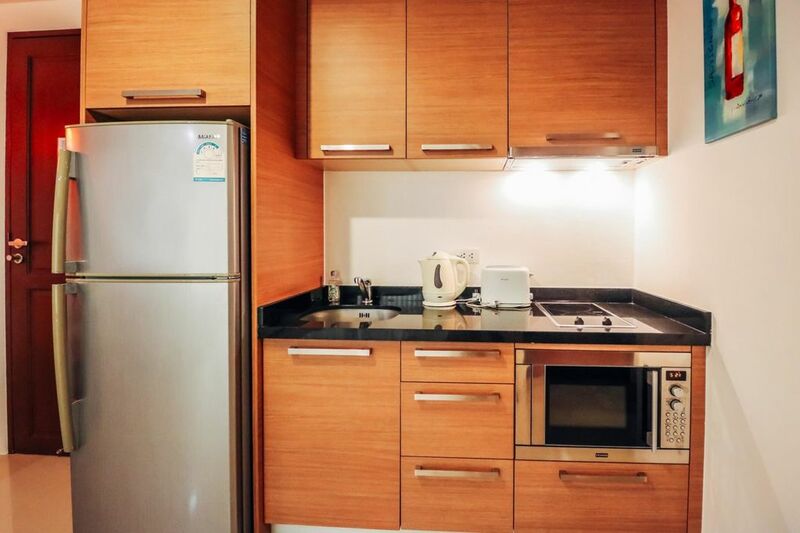 One bedroom apartment in BangTao Tropical Residence walking distance to BangTao and Surin beach is beautifully furnished and ideally located. There are 2 swimming pools with sunbathing area. Exercise room, 24 hour security and private parking area. The fully air conditioned one bedroom 78 sqm apartment is decorated in modern style and it's equipped for a perfect holiday. The bedroom has a queen size bed, wardrobe and safe. This apartment is a private home, we expect our guests to respect the place and follow the building rules. Garbage must be taken to the garbage room to avoid insects and bad odours. Kitchen utensils and dishes must be washed daily for the same reasons. Smoking is not allowed inside the apartment. If you smoke in the balcony you must keep your ashes and throw them in the garbage.